“Could you explain a bit about this ‘Face-something’ and having to be a ‘friend,’” one senior citizen asks. A humorous and heartwarming documentary feature, “Cyber-Seniors” chronicles the extraordinary journey of a group of senior citizens as they discover the world of the internet. 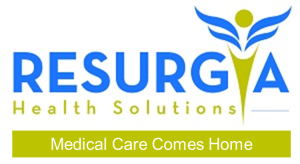 Resurgia Health Solutions offers house calls that helps keep seniors surfing ‘Face-something’ at home.